We had a great first week away from Stanthorpe and Work. It’s taken a little while to get into a travel routine after full on working for seven months and having a set routine for shopping eating, sleeping etc. It’s a bit hard to change but we are getting there. 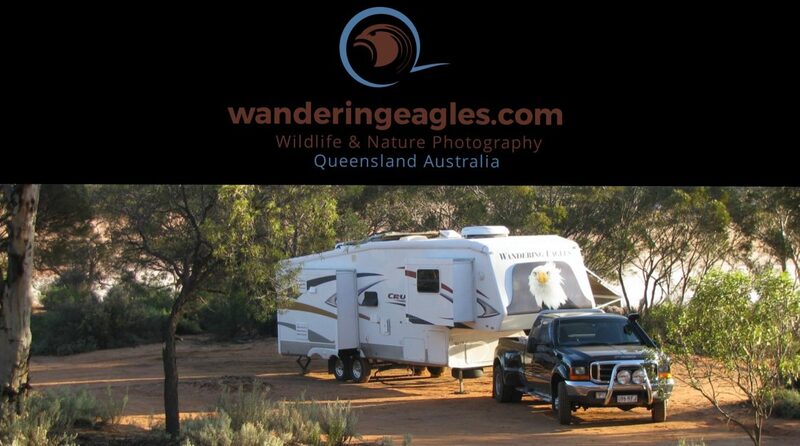 We stopped in Warwick on the way to Canungra, where our new bald eagle head sticker was waiting. Its called (a bad hair day and cross-eyed) funny hey? Its our 4th sticker in 10 years so not too bad. The last one we put on ourselves and it’s quite a big job so we decided to leave it to the professionals this time and only took about an hour then we were on our way. Lots of road works and the dreaded lollipop men seemed to be out in force which seems to be standard on Qld roads. It’s always nice pulling into the Showgrounds in Canungra, the gateway to Binna Burra and O’reilly’s, both in the Lamington Range NP. That night we headed down to the Gold Coast to catch up with my sister Denise and her hubby Mark. We went to the Outback Spectacular horse show, it was a great night out. The next morning we hightailed it up to Binna Burra where we did a 5 hour hike through the rainforest. It’s just beautiful country up there, through some nice big trees and a beautiful waterfall. Sadly. we couldn’t get good photos because the sun was in the wrong place. There weren’t many birds about, but I guess it is winter. The next day Mark and Denise came and stayed in Canungra overnight so we drove up to O’reilly’s, which is about 1 hours drive and a very windy road, and of course, plenty of road works to contend with, as they have had a lot of landslides. We had more luck with birds, as they feed them there. Lots of beautiful parrots and rainforest birds, we were hoping to get photos of the amazing regent bowerbirds we had seen there before but being winter it seems a lot of their usual birds are on holidays somewhere warmer. Fortunately there is plenty of bird life just around the grounds here at the Showgrounds, as it’s next to Canungra Creek. Yesterday we drove to Wyarolong Dam about an hour, it’s near Beaudesert, a beautiful spot, heaps of walking tracks but only saw a few birds. I’m sure around spring though it must be a place to visit. On the way back we stopped in to visit one of Anthony’s friends from the Navy whom he hadn’t seen for about 25 years, Leanne and her husband Ian made us very welcome on their beautiful property near Jimboomba. The scones and great coffee were very welcome. Their Beautiful horses, dogs, cat, children and chooks were very friendly. So all in all we had a great day. Today we have made our way back up Cunningham’s Gap to Toowoomba to have some work done to the suspension of the van among other jobs which are overdue. This will be a good week to catch up on that.